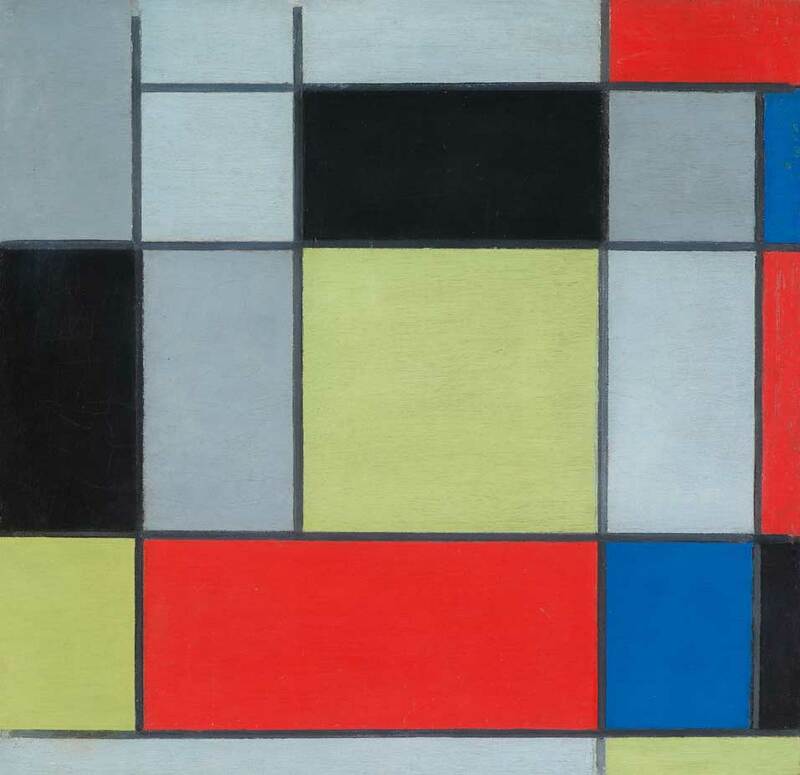 Piet Mondrian, Composition VIII, 1920, Sammlung Winkler. Foto: Sasa Fuis Photographie Köln. COLOGNE.- On 31 October 2008, the Museum für Angewandte Kunst Köln will open its new design department. For the first time, a German museum will offer visitors the opportunity to study design not in isolation but in its close relationship with works of fine art. Kunst und Design im Dialog will highlight the complex interconnection between industrial design from various different periods on the one hand and trends and developments in the world of art on the other. It will also focus on the political, social and art history of these periods. This new concept has been made possible by the gift of the extensive private collection of Prof. Dr. R.G. Winkler. Himself an architect and civil engineer, this professor from the Rhineland not only acquired important design objects, but also collected outstanding works of fine art. His collection will now be presented to the public, complemented by works from the museum's own permanent collection. The concept of the exhibition was developed by the Vitra Design Museum at Weil am Rhein in close collaboration with Cologne city council, the Museum für Angewandte Kunst and the Cologne International School of Design. The project is sponsored by the Overstolzengesellschaft  the association of the friends of the museum. 20th century design will be represented by numerous key works: furniture, lamps, household objects, cameras and radios, created by pioneering designers such as Frank Lloyd Wright, Charles and Ray Eames, Dieter Rams and Philippe Starck. These objects will be juxtaposed with outstanding works of fine art by Piet Mondrian, Wassilij Kandinsky, Günther Uecker, Jesús Rafael Soto and Victor Vasarély. This concept will offer visitors the opportunity to study design objects in a wider context together with works of fine art. Design und Kunst im Dialog will be a new, permanent design exhibition highlighting the complex interrelationship between design objects, developments in the field of art and contemporary history. A total of 710 square metres have been allocated for more than 400 exhibits from the fields of design and art which will be presented on the ground floor and first floor of the museum's east wing. The exhibition area is loosely divided into eight small rooms (Kabinette) where the exhibits will be presented in thematic and chronological order. The works of fine art will be hung in a classic gallery fashion. Some selected works will be juxtaposed with key works of design. An illustrated time bar on the outer walls will provide biographical information on designers, films, photographs and other contemporary documents and thus reconstruct the wider historical context. The open spaces and the vistas through the window-like openings created by the exhibition architecture give rise to a varied dialogue between art and design, people and works, between forms, colours, materials and motifs. The new presentation adapts in a sensitive way to the high-quality architecture of the Museum für Angewandte Kunst. The important spatial axes are preserved. Nevertheless the presentation creates a new and intense spatial experience for visitors. Shelving of unusually large dimensions was developed for the fifteen metre long and eight metre high frontage of the east wing where representative pieces from the collection provide a foretaste and an invitation to visit the permanent collection. The flexibility of the modular architecture and its cabinet-like structure makes it possible to regularly vary thematic groups and objects in order to ensure that the permanent collection awakens interest and a sense of suspense. Hardly any other museum in Europe offers this combination of pictures hung in gallery-style and the concentrated thematic presentation of different design periods together with background information on the history of design in this form. For both students and schoolchildren it is an ideal medium providing a history of design which is easily understood, while the better informed may explore new interdisciplinary links. In the juxtaposition of art and design this new concept conveys a contemporary, extended view of design in which art and functionality are linked in a multitude of ways. Today this view of the interplay of art and design is of especial interest as they move closer together as a result of social and technological developments. This poses the question as to how this closer relationship should be evaluated.